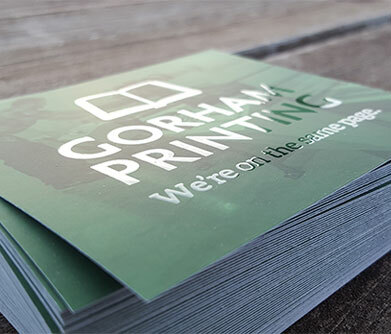 Make your book stand out from the crowd with our premium book printing options. Select a feature to learn more. 3D Spot UV is an ultra-clear coating that, when applied to your cover, creates vibrant colors and textures. Our precision technology lets us trace the finest details of your cover to create beautiful lines and accents. Choose from multiple thickness levels for enhanced texture and depth. Interior foldouts add a whole new dimension to your book. . . literally! Popular among textbooks and childrens books, this functional and decorative feature lets you create engaging content within your pages. We offer a variety of fold options, including gate folds, bifolds, trifolds, double gate folds and many more. 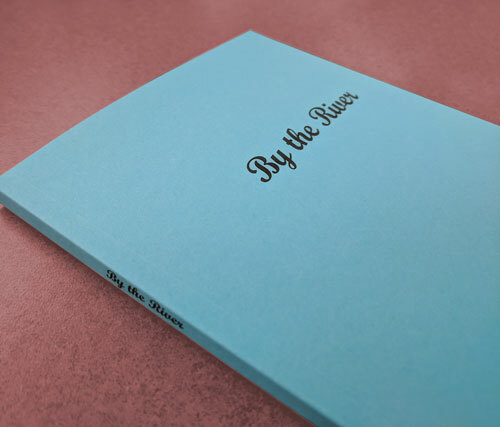 Offered in either black and white or full color, inside cover printing lets your artwork flow from cover to page. This premium feature grabs your reader's attention from the moment they open your book. 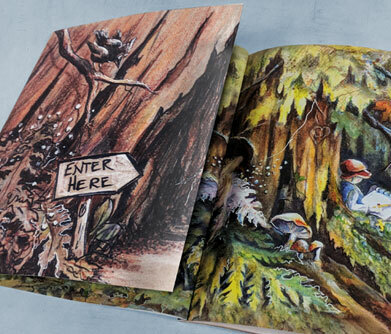 With inside cover printing, your artwork extends from your front to back cover, creating a lasting impression. 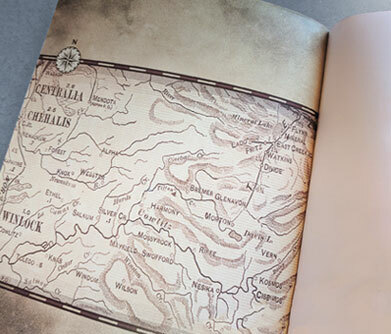 Appearing at the beginning and end of hardcover books, endsheets are the glued pages that extend from the cover to the first page. Endsheets (aka endpapers or endleaves) give your book a professional touch. 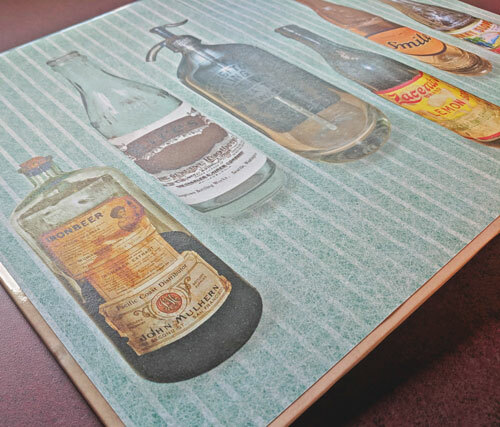 We offer solid colors, patterns and custom, printed endsheets for you to really show off your artwork. CD inserts are another way of extending your content beyond the page. Whether you want to provide an audio copy of your book or supplementary material, CDs can add value and depth to your content. 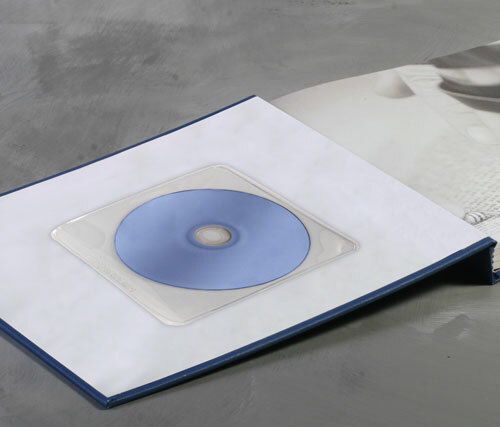 CDs are secured in clear, lightweight sleeves to the inside of your front or back cover. 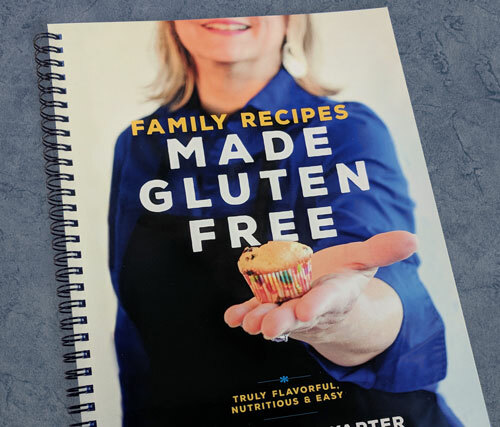 Printed on double-sided paper, colored cover stock is a great way to make your book pop from the first page to the last. We offer a range of vibrant colors that are perfect for highlighting your artwork and content. Select from a list of thicknesses and finishes to create a look and feel that's completely unique to your book. 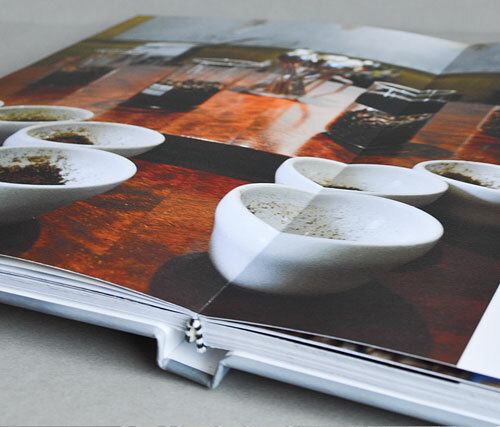 Layflat Binding lets you create gorgeous, multi-page images without losing content to the gutter of the book. Each spread is comprised of a single sheet of paper, which ensures perfect alignment across pages. This binding style is also a great alternative if you need books to lay flat and don’t want to use a spiral coil. Wire-O is a metal, spiral binding method that allows your pages to be opened much further than a perfect bound or hardcover book. Wire-O is the perfect solution for books that need to stay open on a flat surface. Wire-O uses thin metal rings, a classy alternative to the thicker plastic used in normal spiral bound books. Rounded corners are a great way to distinguish your book from the rest on the shelf. 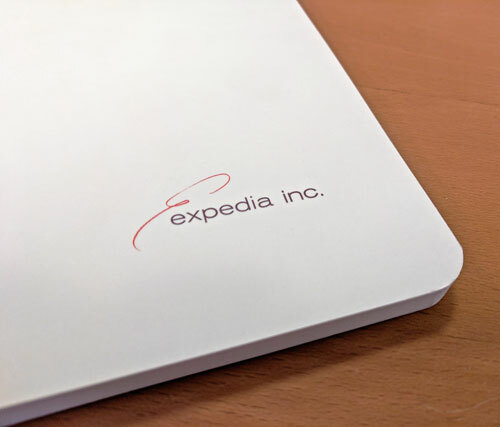 We often see this feature on notebooks that are meant to be carried with the reader, but this treatment looks great on any book. Spiral bound and perfect bound covers will be trimmed to match the text when their corners are rounded. 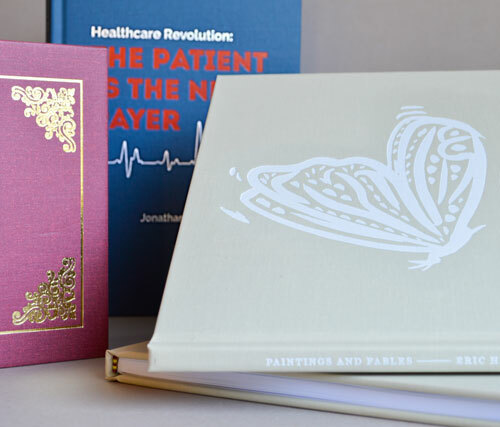 The right foil color can help bring your cover to life. In addition to our standard white, gold and silver foil stamp colors, we also offer a long list of custom colors. Availability of certain colors is limited; contact us to see our current list and discuss the best option for your book. 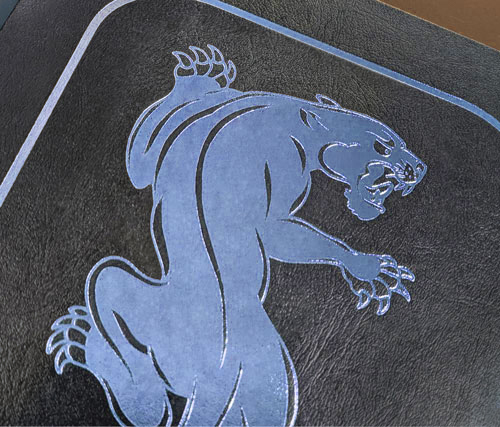 Your fabric or imitation leather hardcover includes one foil stamp color. As a custom feature, we also offer multi-color foil stamping options, which let you incorporate complex patterns into your cover artwork. Get creative! Combine multiple custom foil colors for extra effect. 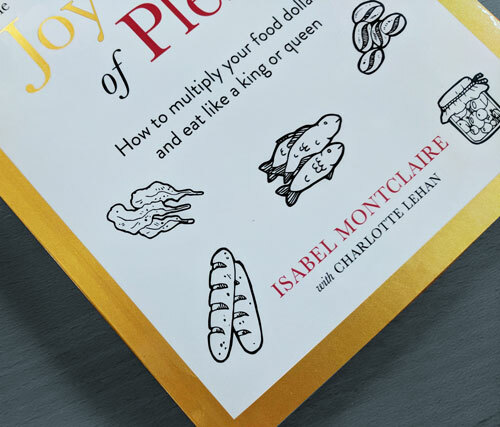 Metallic printing adds shine to your cover without the need for a foil stamping. We use toner-based technology to infuse metal flakes directly into the artwork, creating a light-reactive shimmer effect. We currently offer silver and gold metallic printing. Let us know what future colors you'd like to see! If you're looking for a feature not shown on this page, please contact us to discuss our additional custom options.